The old saying goes, “Every cloud has a silver lining.” Back in 2005, when the real estate market was showing signs of wobbling, many agents were scrambling to find that silver lining. For one agent, he didn’t have to look far. Keith Long, the owner, and founder of Thunderheart Flooring saw a unique market opportunity that would be Thunderheart’s silver lining. While he experienced success in the real estate market, Keith saw changes looming in the industry. Knowing that the market was headed in the wrong direction, he used the change in circumstances to reinvent himself as well. While living in Northern Colorado, he took a leap and answered an ad for hardwood flooring contractors. He was hired. He learned a few tricks of the trade and roughly one year later, Keith ventured out on his own. With his wife, Robin, he opened a high-end boutique company based in Greeley, Colorado, known as Thunderheart Flooring LLC. Ten years and many floors later, he’s never looked back. Being a creative pair, Keith and Robin like to tackle diverse flooring challenges. Thunderheart has developed a solid reputation in the industry. 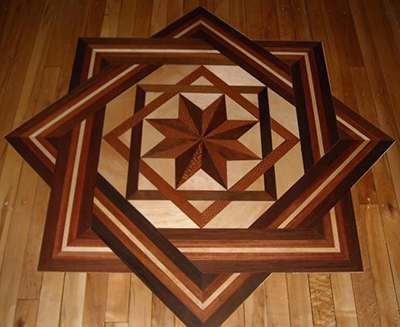 They have completed smaller jobs of sanding, staining, and finishing currently used floors, but also tackled full installations from inception to completion. 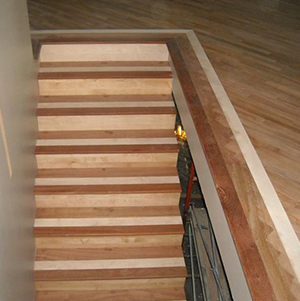 They are well-versed in practical, straightforward jobs as well as high-end custom flooring projects. And nothing is more satisfying than a floor well done. 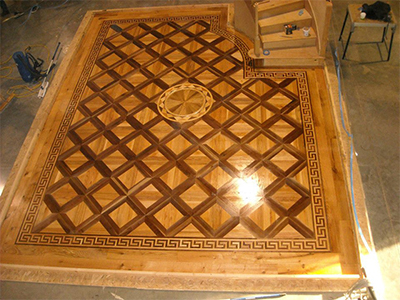 Keith’s work demonstrates the pride of craftsmanship that has set him apart from his competitors. Cost-effective pricing coupled with a commitment to excellence makes Thunderheart a solution that homeowners can rely on. Despite their success, when you call Thunderheart Flooring you’ll be speaking directly with Keith. Each client receives a comprehensive consultation with a detailed cost breakdown. Unlike purchasing flooring from a big-box store where you get shuffled off to an independent contractor when you choose Thunderheart, you get the boss himself. Keith is loyal to his customers, loyal to his manufacturers, and loyal to his tools. He even has the original Wagner MMC220 Extended Range Moisture Meter he bought when he branched out on his own. It was the first tool he ever bought and he uses it daily. This mentality of loyalty is what keeps his customers coming back for his expertise, and recommending him for other installations. Keith has a wealth of knowledge from his years of experience in the business, choosing to follow his finely-tuned instincts to problem-solve. A major post-construction problem often occurs with the excess moisture content of wood subflooring when working with the wood flooring overlay product. A wrong measure of wood moisture content may cost thousands of dollars in post-construction damage, and would simultaneously damage Keith’s reputation as a professional. Excess moisture content will eventually travel to the surface as the only way to escape. This may cause significant damage to flooring overlay product with warping, failed adhesive, detaching, separation, and many other long-term problems. Keith is a big believer in prevention rather than costly post-installation repairs. Keith is a contractor who thinks ahead. He tests the moisture levels in the subfloor before he even considers laying down the wood overlay. Keith always carries a wood moisture meter, his tape measure, and a notebook when he bids on a job. 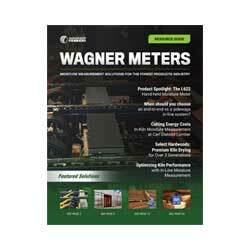 The Wagner Meter’s reliability, ease of use, accurate readings, and durability makes it his “go to” tool. When Keith finds excess moisture content in the subfloor, he has time to let each component either dry or acclimate according to the needs of the job. This is especially important because Thunderheart Flooring is booked out about four months in advance. When time and reputation are on the line, Keith can’t afford to have costly mistakes that could lead to flooring failure. “I’m really proud of the fact that we’ve never had a flooring failure. I think it’s because we avoid the problem by using a Wagner moisture meter on every job. I have all the facts before I start a job and that prevents expensive problems. Keith, along with his wife Robin, has staked their reputation and livelihood on doing the best job possible for their clients. Their honesty, loyalty, knowledge, and desire to complete each job to the satisfaction of each customer, makes them an industry favorite. Wagner Meters has been a staple for success in Keith’s career. To learn more about Wagner Moisture Meters click here.